How do you like this Recipe ? 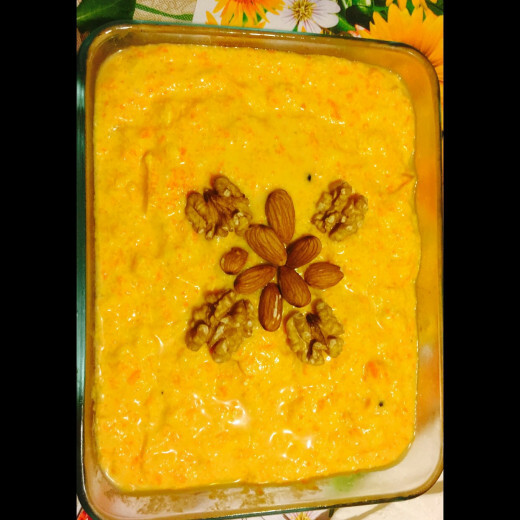 Gajrela or rice and carrot kheer is a classic dessert prepared in The season when carrots are most ripe and sweet. It comes out more colorful when made in Eastern countries where the carrots are red rather than orange in color. No matter what color the carrots are 'Gajrela' always has the same irresistible taste. 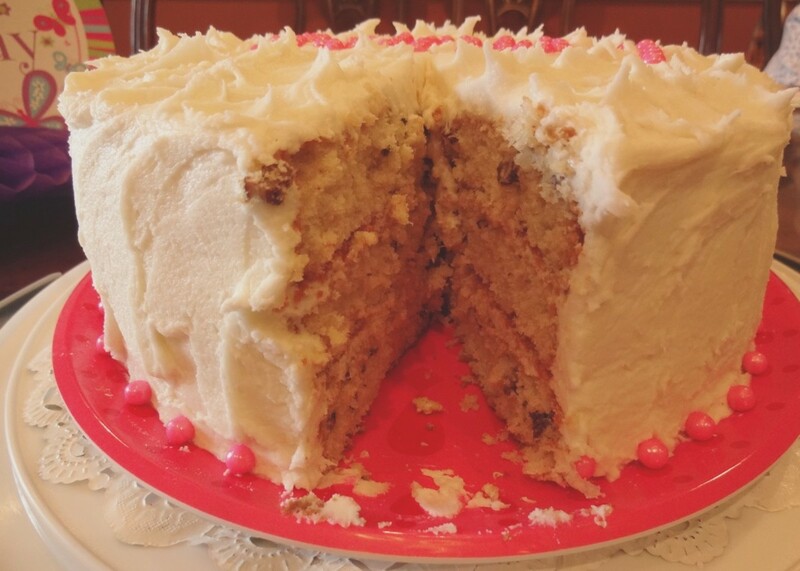 This is a must try Dessert for your Winter or Fall parties. My favorite ghee is also available on Amazon.com. 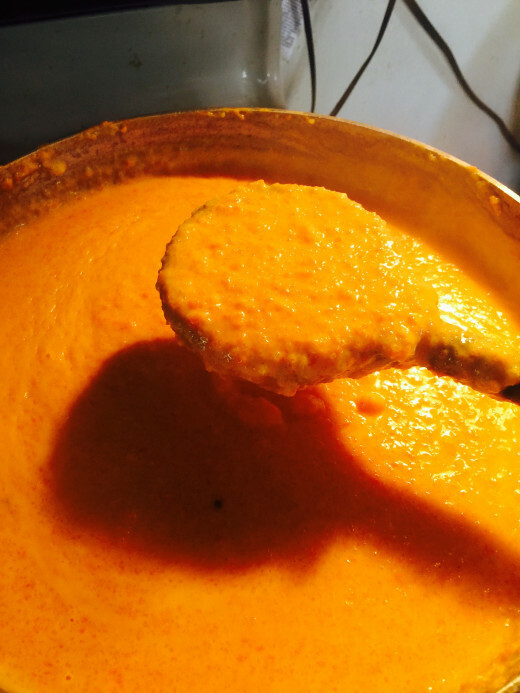 Pictorial guide to the recipe of Gajrela. 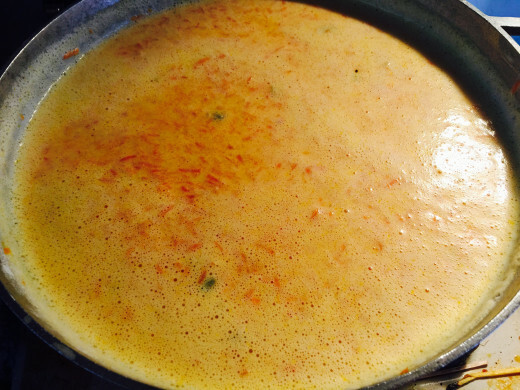 Add milk to the pot.Use a big and medium deep pot to make carrot and rice kheer to avoid mess around the stove as it would boil out of the smaller pot. Use a wooden ladle to stir the milk every minute or two to avoid sticking to the bottom. Wash and peel the carrots and grate the carrots using a hand grator or a food processor on a grater setting. ( see the one I used in the picture below). Put the grated carrots aside. Cook the milk on medium flame. 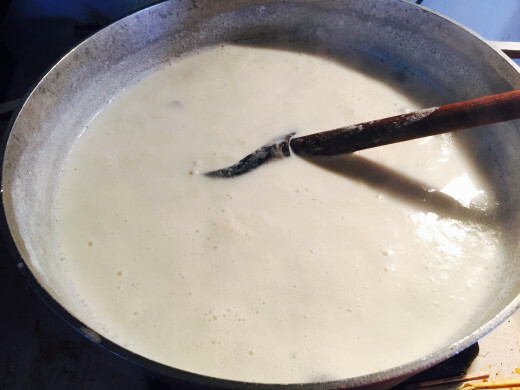 Lower the heat to low when milk starts boiling and keep stirring every minute to avoid burning. Split the cardamom open and add them to milk while cooking. 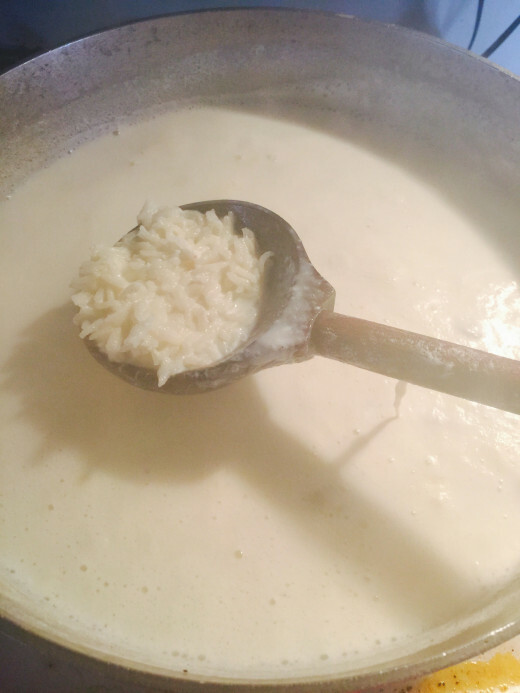 Also add rice to the milk and keep stirring. 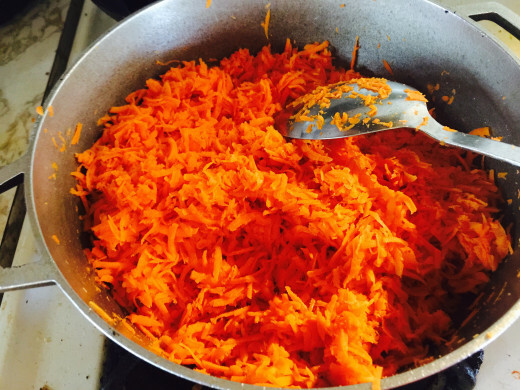 In a seperate pot add grated carrots and dry roast them. 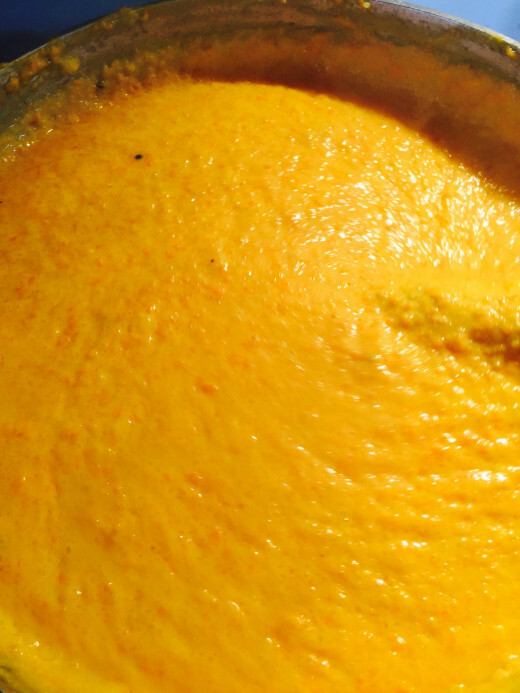 Keep stirring.In a few minutes the grated carrots will shrink and wilt.Now add clarified butter and ghee and stir fry grated carrots constantly stirring with a wooden spatula. 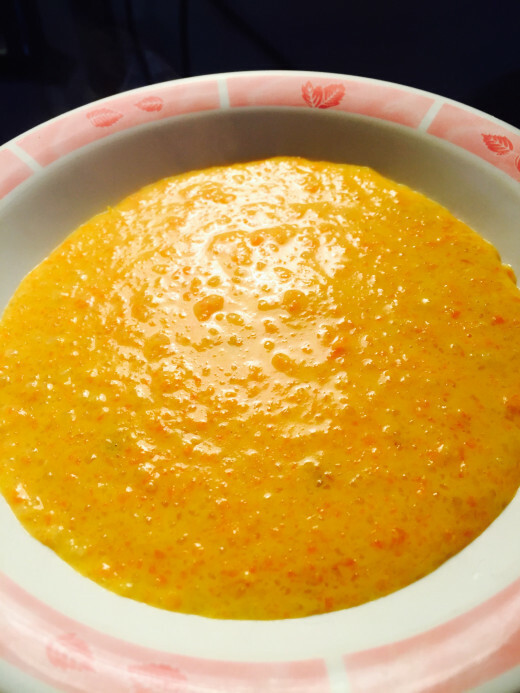 in few more minutes carrots will change color to a little darker.Turn off the stove and add roasted carrots to the boiling milk and rice and mix well. Add sugar and keep cooking on low flame and while cooking do not forget to stir every minute. You may add sugar in parts and taste the sugar if desired add more or less according to taste. 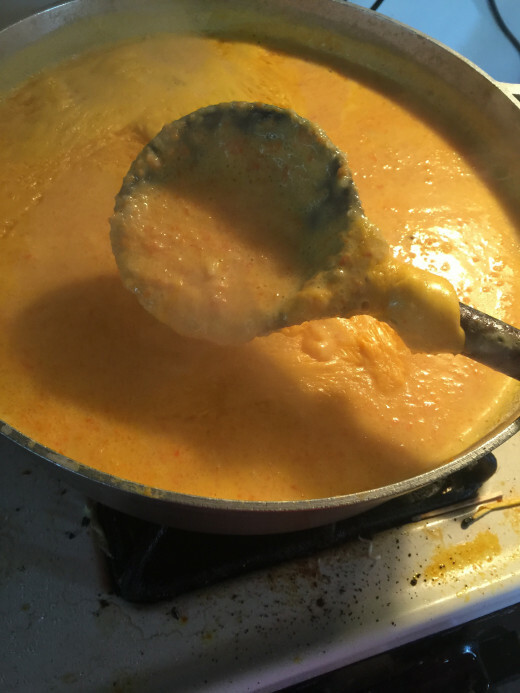 Turn the flame on lowest setting or to be on the safe side turn off the stove under milk and carrot mixture and blend with the mixing and blending wand like the one mentioned below. Garnish with crushed almonds and coconut flakes before serving. Ash, you have outdone yourself this time. Pudding is my favorite, and be proud. 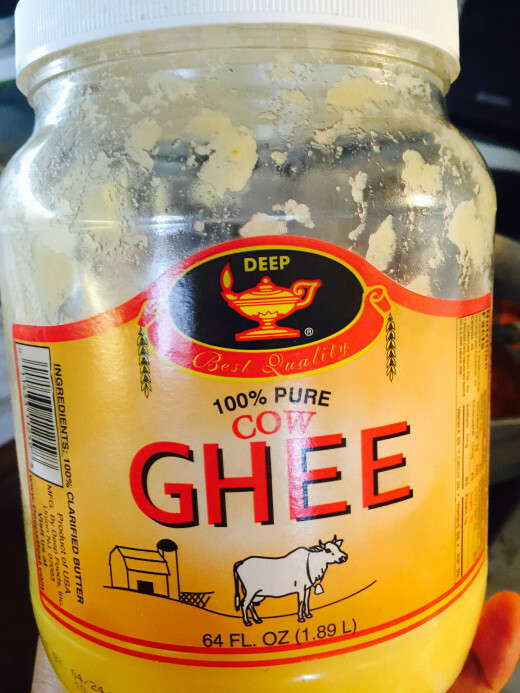 I make my own ghee, just like I do my garam masala. You can bet that my mouth is watering for this. 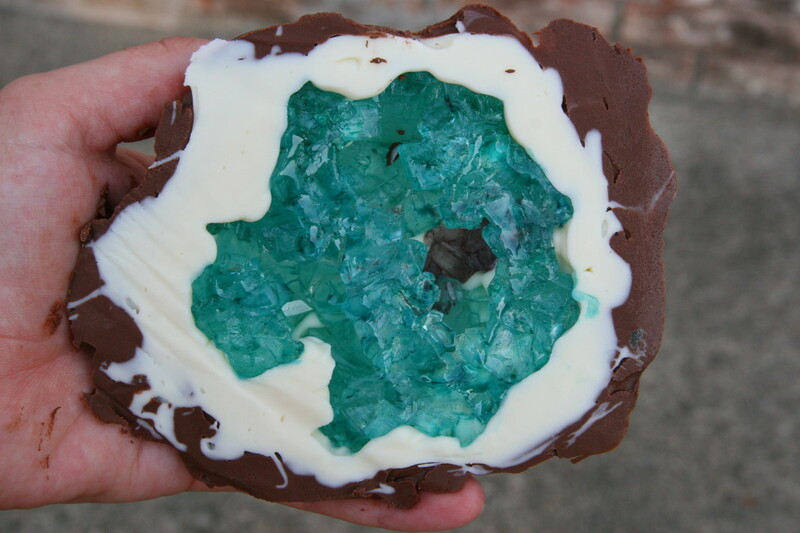 I have eaten this and I like it very much. Thanks for the recipe.